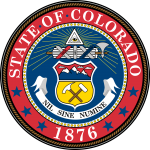 The Colorado medical power of attorney document is created in accordance with the US Statutes § 15- 14-503 to -509 and provides the facility to patients to appoint a legal independent authority sometimes referred to as the Agent`. In the event of an illness which causes the patient to become incapacitated the agent is able to make the decisions which relate to the patients health care treatment. This authority also includes the decisions regarding end of life treatment, for example life support or nutrition delivery. Enter principals details. Enter Agent`s and alternative agent`s details. A) Statement of life regarding prolonging of life. Enter any other details regarding the wishes of the principal for end of life health care. 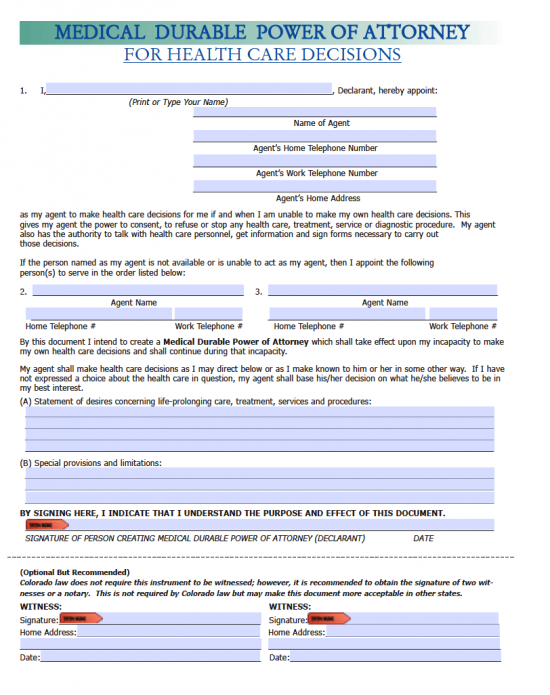 Enter details of any other special provisions for the patient.